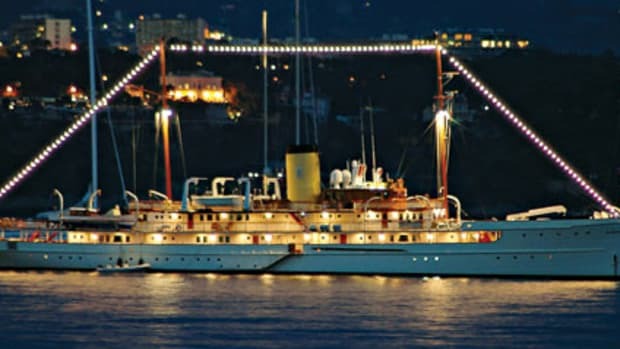 This is the only steam yacht in this size range available for charter—and one of the few steam yachts still equipped with her original engines. Delphine also carries two tenders that were made especially for her in 1927. Jacques Bruynooghe, a Belgian businessman, and his daughter Inneke oversaw the refit and restoration of the yacht from the late 1990’s through 2002. Unfortunately, that refit got Jacques into legal trouble, as he was convicted in a Belgian criminal court this past April of illegal human trafficking, having hired several dozen illegal workers from Lithuania to perform the work.